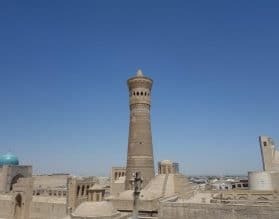 Travel to Uzbekistan and visit Khiva, Samarkand, Bukhara. Place names evocative of the riches of the Silk Road between China and the West. Today, these cities, together with the capital Tashkent, make up the modern country of Uzbekistan which is at the very heart of Central Asia. 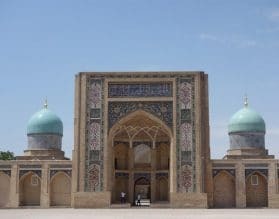 Several of our team have traveled to Uzbekistan multiple times, and it is one of our favorite destinations. Go for the piercingly blue skies, shimmering mosaic domes and desert backdrop that will make you feel that you are an extra on the set of 1001 nights. For those with a deep interest in art, a visit to Nukus is a must for the Savitsky Art Museum. This remote museum houses the incredible life's work of founder, Igor Savitsky, who collected thousands of banned avant-garde Russian art pieces and hid them in the depths of the desert, far from Moscow. 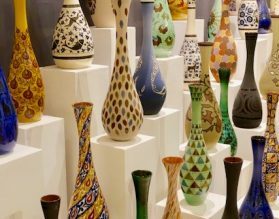 A land of exotic beauty and ancient culture, Uzbekistan has been immortalized as being one of the most important countries on the ancient Silk Road between Beijing and Istanbul. Thriving cities have grown out of ancient caravanserais that punctuate the rugged Central Asian landscape. At one point in history, Uzbekistan saw the pinnacle of Mongol and Tartar culture and even today, one can see the remains of a great empire in cities like Bukhara, Samarkand and Khiva. Uzbekistan has spawned two of history’s greatest conquerors – Timur the Lame (Tamerlane) and Ghenghis Khan. Uzbekistan is also known for its exquisite textile traditions, and stunning architecture, much of which has been preserved and can be explored even today. Imposing gateways embellished with calligraphy, soaring minarets, and graceful domes lend their elegance to the destination. 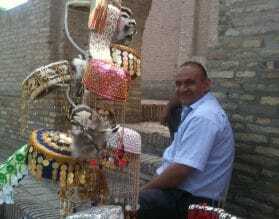 In the true tradition of the caravanserais, bustling bazaars heave with excitement. The Uzbeks are a proud people of great heritage. 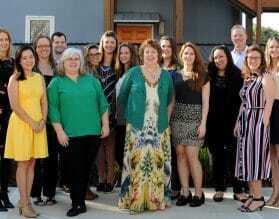 Lively and spirited and always ready with a smile, warm hospitality embraces everyone who visits. Retrace the ancient Silk Route and explore the exotic beauty of Uzbekistan with Exeter International. 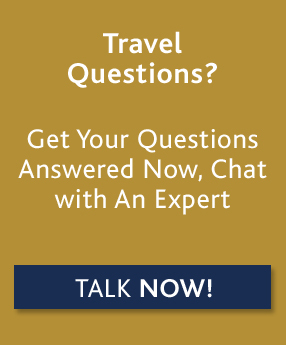 For custom luxury travel and tours to Uzbekistan, please contact one of our travel experts, or read on below for more information about where to go and when, along with our Insider's Guide. 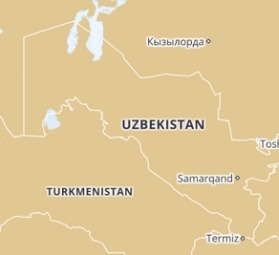 The ideal times to travel to Uzbekistan are April, May, June & September and even the beginning of October. Temperatures in May and June are already hot (80 degrees +) Travel in July and August is possible, however not suitable for people that are unaccustomed to intense heat. Winters are extremely cold and quite harsh. The change in seasons is also usually quite abrupt. We would also advise against traveling during Nowruz which is the much celebrated spring solstice, or Persian New Year in March as each city becomes very crowded and many sites may close at short notice. Tashkent, a modern, functional city is a must for the Hazrat Imam Complex and the oldest Koran in the world. The Chorsu Bazaar is a bustling market with a dizzying choice of anything you could wish to buy from fresh foods, spices, dried fruits and nuts to materials, clothes and household goods. Here you will understand the trading history of these once independent and competing khanate cities, now united. Khiva, the furthest of the three Silk Road cities is the furthest from Tashkent and the Itchan Kala (the walled old town) is spectacular. Now protected by UNESCO, it was originally founded in the 10th century. 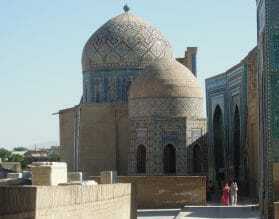 The Tash Hauli Palace and the Pakhlavan Mahmoud Mausoleum are two of the other highlights. A flight away (or an 8 hour desert drive) is the fabled city of Bukhara. Taking tea at the traditional chaikhana (tea house) opposite the 5th century Ark Fortress is a memory that will never leave you. At night, star gaze by the pond in the Lyab-i Hauz Square. Samarkand is perhaps the most famous of all due to the Registan, a glorious square flanked by madrassas dating back to the 15th century. Not to be missed is the Shah-i-Zinda necropolis and the incredible observatory built by Ulugh Bek in the 15th century. 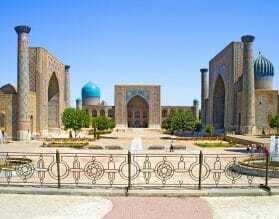 For the first time visitor Tashkent, Samarkand, Bukhara and Khiva are the must visit towns. Tashkent and Samarkand are rather sprawling and relatively modern cities. Bukhara is the place that you will want to spend the most time, charming and compact. Khiva is magical – you will feel just like you would imagine stepping into a story from 1001 nights. Because your guide will be travelling with you throughout, the itinerary will remain flexible. Wherever possible we avoid using any of the larger hotels used by group travel companies. Samarkand and Bukhara have some charming character properties with 6-20 rooms that are available to individuals only. 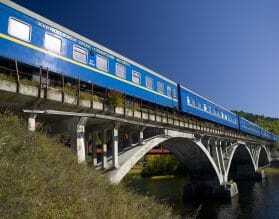 Another way to see Uzbekistan is from the the luxurious Golden Eagle, your luxury hotel on wheels. The Silk Road itinerary follows in the footsteps of Marco Polo, Genghis Khan and Tamerlane, it’s a 21-day adventure from Russia to China via Uzbekistan and Kazakhstan.